National Scenic hiking trail open to bikes. 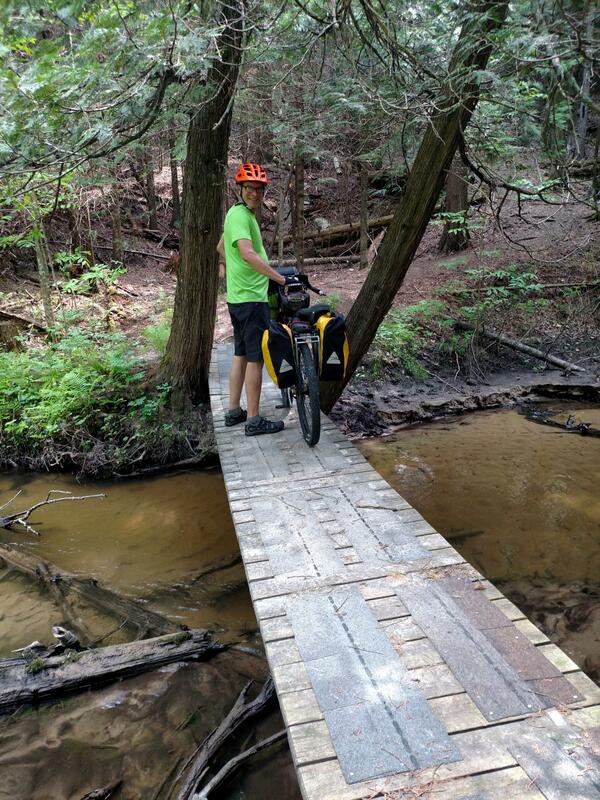 Narrow, lots of up and down ravines with bridges across creeks at the bottom then back up to the top as you follow the Manistee River. Some sections of hard to see grassy trail, some two tracks also. Just follow the blue blazes on the trees and roads. Baxter Bridge east to Fife Lake MTB Trail 4.00 out of 5 based on 1 ratings. 1 user reviews.